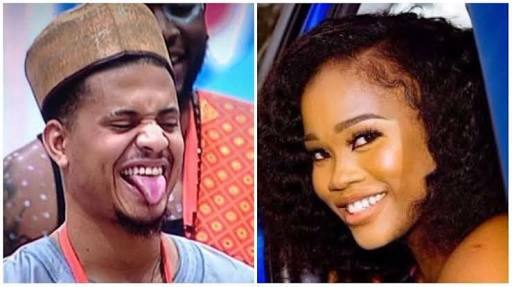 Big Brother Naija 2018 housemate, RicoSwavey, has started making s3xual advances at controversial female fellow housemate, Cee-c.
Cee-c and Tobi, are one of the most talked about housemates in the “Double Wahala” edition of the reality television show as they are both strategic and romantic partners. However, Tobi and Cee-c have seen their relationship falling apart in recent days for various reasons. Cee-c said, “What is it?” And Rico continued, I dreamt, and you were kissing me. This time, Cee-c only looked straight into his eyes with no further comments.